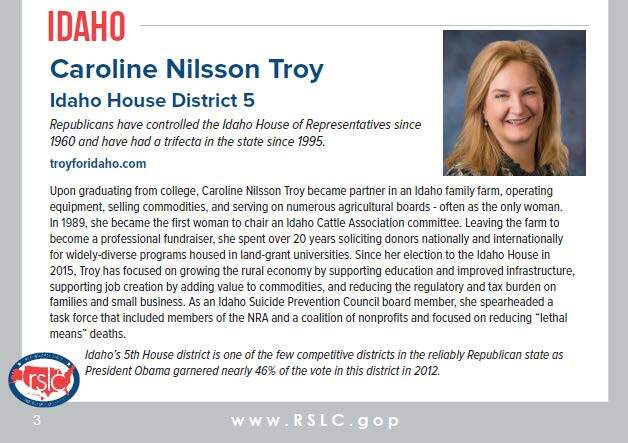 Boise – State Rep. Caroline Nilsson Troy, R-Genesse, running for re-election in Idaho’s 5th Legislative District, has been singled out as one of 18 state-level “Races to Watch” by a national Republican organization. The Republican State Leadership Committee today released its “18 in ’18” Future Majority Project, Right Women Right Now Races to Watch with Troy on the list. 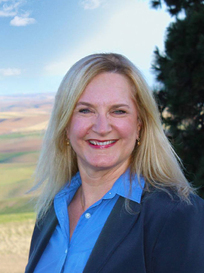 “As state-level Republicans have reached modern highs in legislative majorities and statewide offices held, the RSLC has brought attention to outstanding Future Majority Project (FMP) and Right Women, Right Now (RWRN) candidates running in critical races by highlighting them through the “Races to Watch” program. State Republican Party chairman Jonathan Parker applauded Troy for the recognition and for her work on behalf of her constituents.